AMAR has today launched an appeal to raise $500,000(£300,000) to help treat thousands of young Yazidi women and girls who have suffered shocking mental trauma after being kidnapped and sexually abused by Islamic State (ISIS) terrorists. 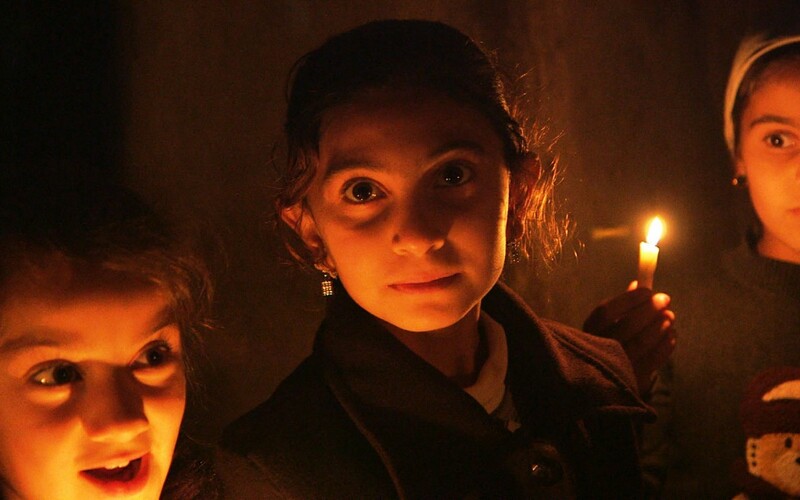 AMAR’s ‘Escaping Darkness’ Appeal will provide vital psychological assistance to Yazidi victims. Kidnapped, raped and tortured, they have experienced horrors almost impossible to comprehend. The appeal will help by providing essential community counselling and expert psychological treatment. An estimated 5000 women and girls have been kidnapped by ISIS. Bought and sold like cattle in markets, and raped and tortured daily, they have experienced unspeakable horrors at the hands of their captors. Incredibly, some brave women and girls like Noor have managed to escape. But reaching safety has not brought an end to their suffering. Many are experiencing severe trauma, suffering both mental and physical reactions to their harrowing experiences. Some could not live with their memories and have committed suicide. Even those who were not abducted are suffering from severe trauma – the pain of watching helplessly as loved ones were killed, or of waiting to hear the fate of friends and relatives, has left countless women and girls violently disturbed. Medical centres in Northern Iraq are struggling to cope with this crisis. A severe shortage of trained psychiatrists has resulted in limited availability of psychological services, leaving those affected by ISIS brutality without any formal support. AMAR’s ‘Escaping Darkness’ Appeal is seeking to address this crisis through delivering long-term psychological support to women and girl victims of ISIS. Working with expert psychiatrists, AMAR will train local GPs so that they can deliver psychological care whilst simultaneously establishing ten new psychological support centres in both camp and non-camp settings, and developing a community-based social care programme. The appeal is supported by British documentary film maker, Edward Watts, whose Channel 4 Dispatches ‘Escape from ISIS’, highlighted the terrible psychological damage wreaked by ISIS.